When drilling a directional well, predicting the exact position of a target reservoir from surface is difficult. Logs from offset wells provide reference points but little indication of the formation away from the wellbore. Seismic measurements lack the resolution to fully complete the picture if the target zone is very thin. This is where geosteering is required. Traditionally, geosteering is performed by analysing the cuttings returning from the bit, or, with LWD logging tools positioned back from the bit. Both of these methods involve a delay between the time that the bit drills a formation and the time that the formation is identified. Depending on the depth of the well and the ROP, this delay could be over an hour. Unlike conventional drilling with jointed pipe, coiled tubing drilling communicates at high speed with the downhole tool over wireline. This is a tremendous comparative advantage and provides near instantaneous feedback of the drilling process. Using the full range of sensors that are available on the latest generation of CTD BHAs, it is possible to process the measurements, while drilling, to determine how hard it is to drill through a particular rock formation. This is similar to the way that, when drilling into a wall with a hand drill, it is possible to get an idea of the material being drilled through. With this capability, it is possible to discriminate one formation later from another with a resolution of as small as 6 inches along the length of the wellbore. These changes can then be compared to offset logs to provide a geosteering capability. CTD geosteering technology, such as RockSense, offers considerable advantages over current methods which are accurate but suffer from limitations. The technique of observing cuttings suffers from the time required to pump them to surface, the physical spreading of the cuttings in the well and the time it takes for a geologist to analyse them. Expensive LWD tools in the drill string may be several tens of feet back from the bit so may not pass the zone of interest until an hour or two has passed. 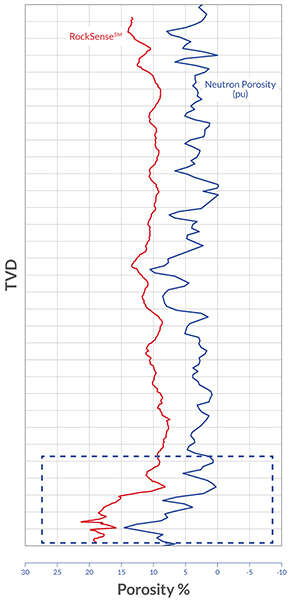 CTD geosteering provides near instantaneous information about the conditions at the bit, and fine linear resolution. The directional driller can determine which formation is being drilled by comparing to logs prepared by the geologists. 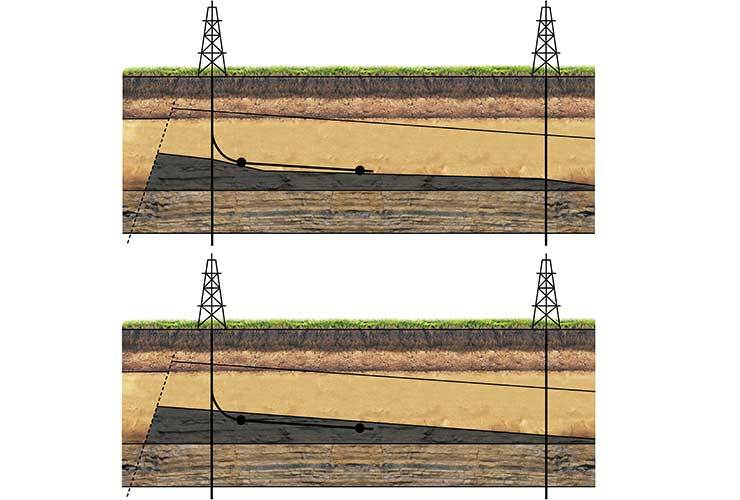 The well trajectory can be adjusted to keep the drill bit in zone thereby avoiding the overshooting that can be caused by other geosteering methods. An overshoot is bad in many ways because not only is the wellbore drilled into unproductive zone, or worse still, a water zone, but the well trajectory then has to be corrected to bring it back on target at which point it might overshoot again. During all this time, drilling costs are being incurred and productive zone is missed. To help visualise the situation, consider how difficult it would be to keep a car on the road in thick fog if there was a one-minute delay in the time the steering wheel was turned and the time that the front wheels responded. Time-delayed geosteering data is an everyday situation in today’s oilfield and CTD geosteering serves to improve the situation. The technology offers a step change in the predictability of coiled tubing drilling because it makes it easier to ensure that a wellbore is drilled in the right place, the first time. Predictability reduces the financial risk to operators and provides an increase in drilling efficiency.